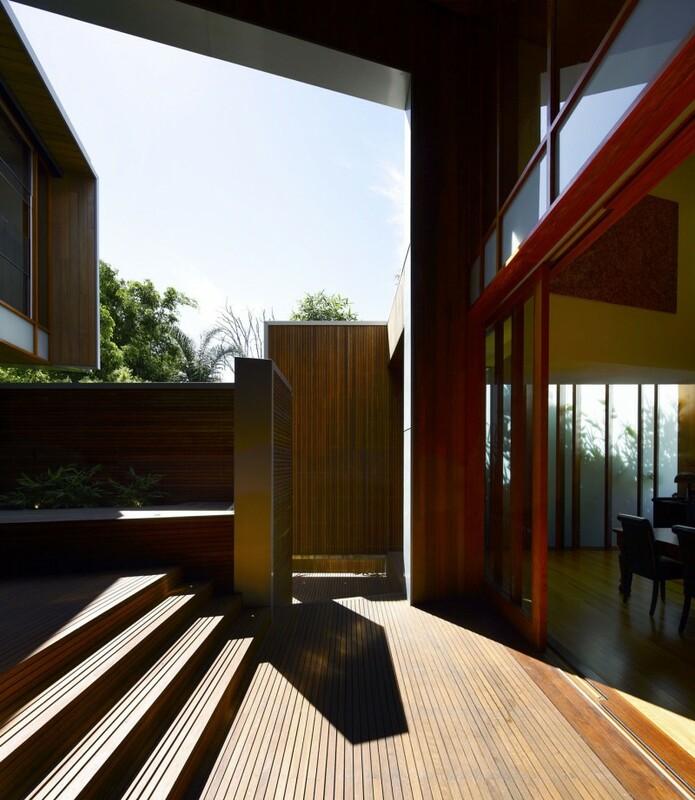 Brisbane-based studio Richard Kirk Architect has designed the Arbour House. 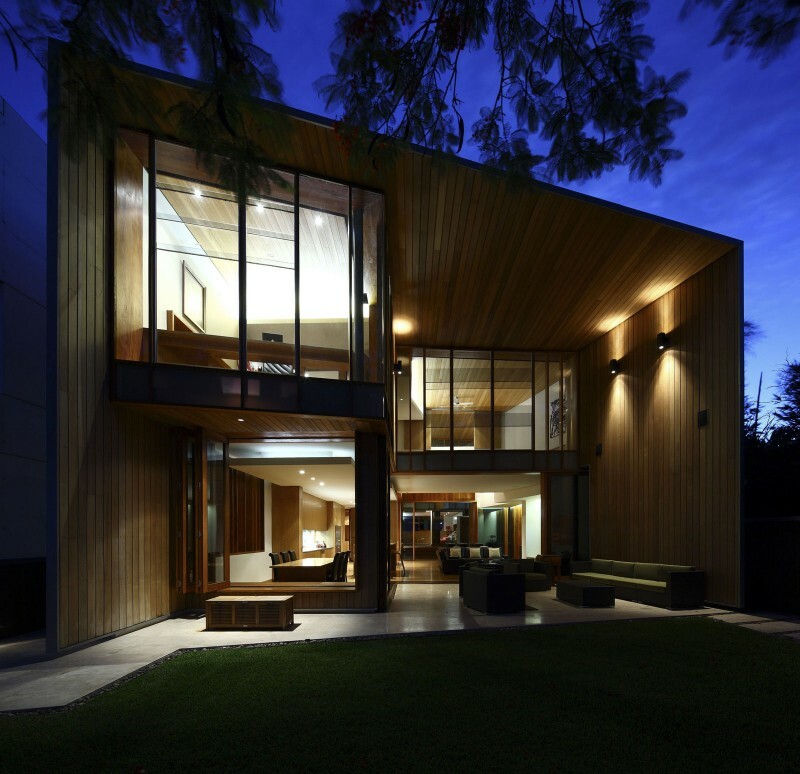 Completed in 2009, this two story contemporary home is located on the Bulimba Reach of the Brisbane River, Queensland, Australia. 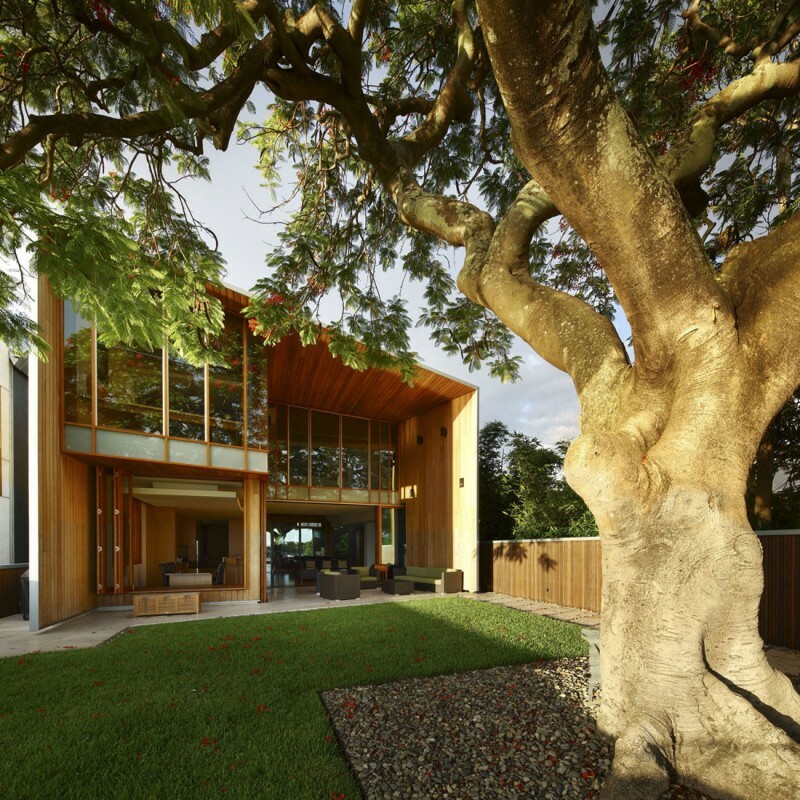 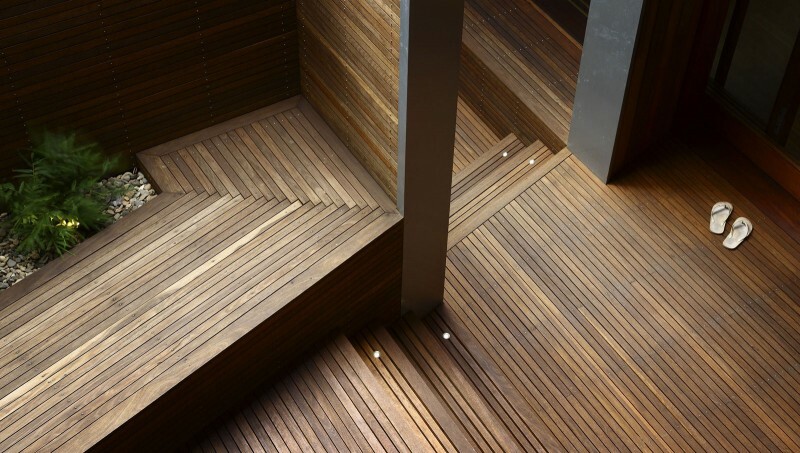 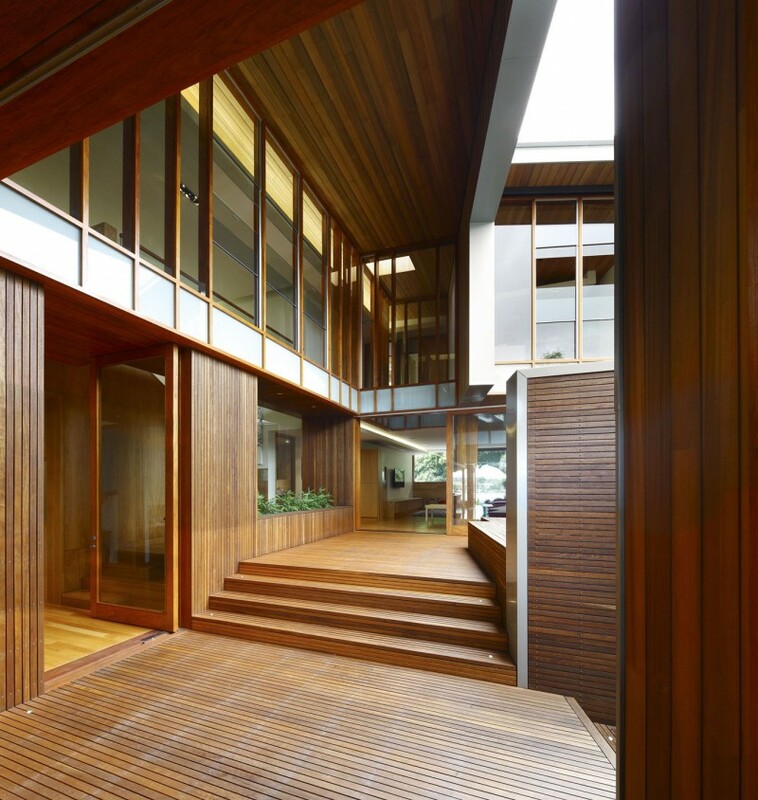 “Arbour House, located on the Bulimba Reach of the Brisbane River, is a study in siting and intricate articulation to yield views and landscape connections . 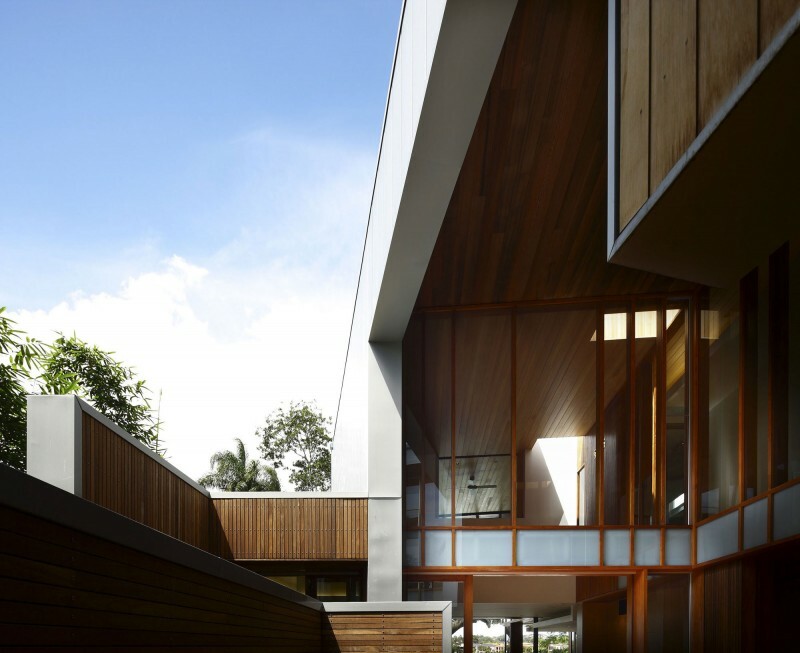 The long thin 13 meter wide site is located between two key public spaces, namely an established historic arbour of fig trees and a public riverfront boardwalk. 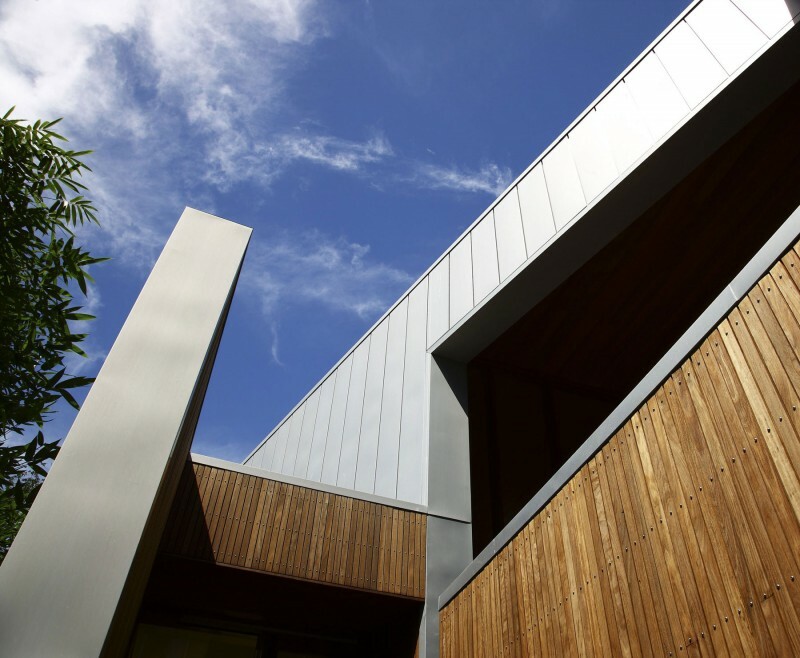 The site which once formed part of the surrounding multi-residential enclave is now distinquished by a new single detached dwelling. 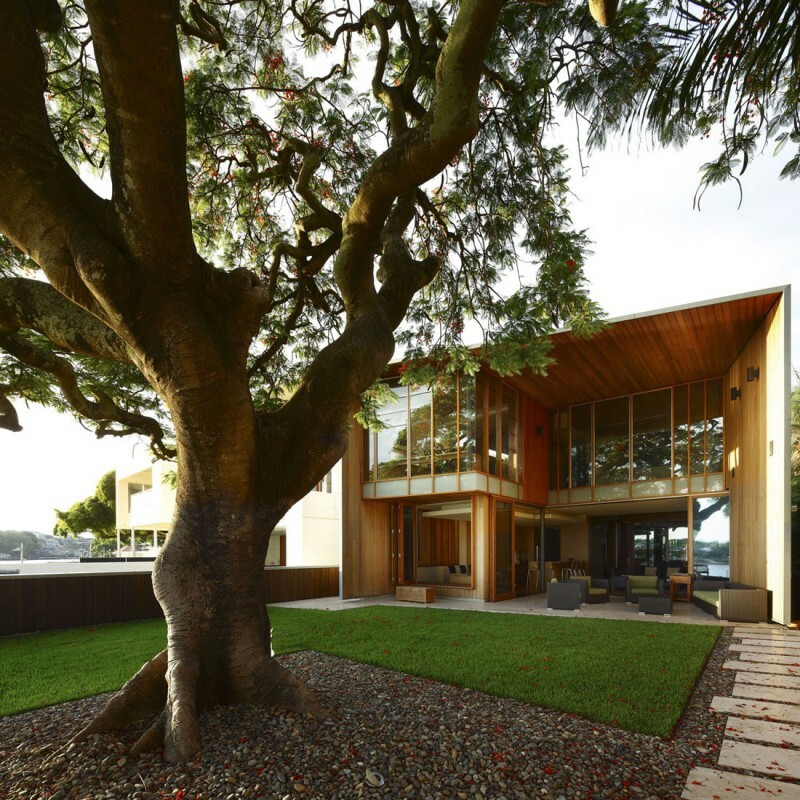 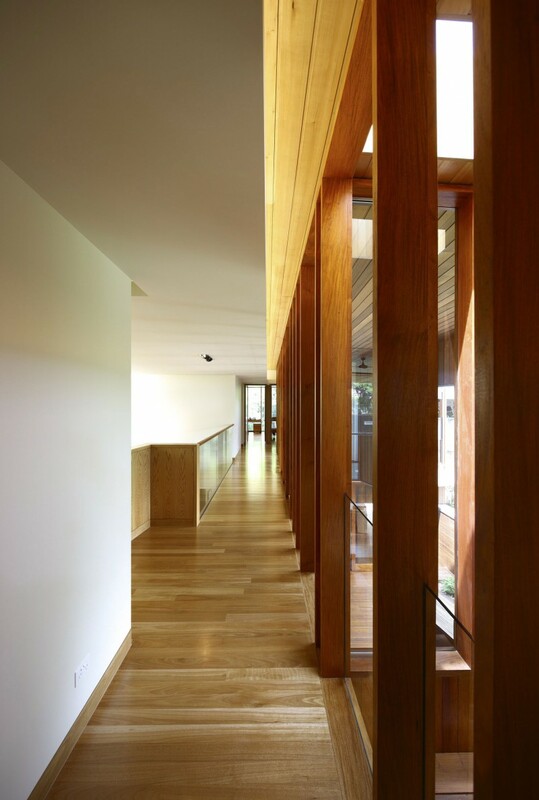 Unlike other riverfront houses, the new dwelling is sited a respectful distance from the rivers edge, preserving an 80 year old Poincianna tree and historic public views from the boardwalk of the adjoining heritage listed dwelling. 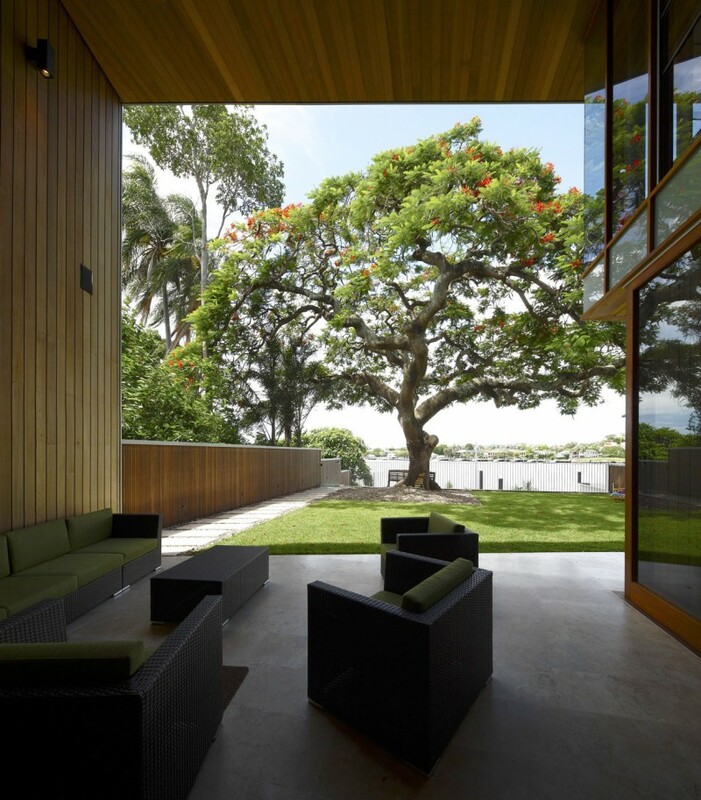 The large setback creates a platform for a private garden under the shade of the canopy of the Poincianna tree. 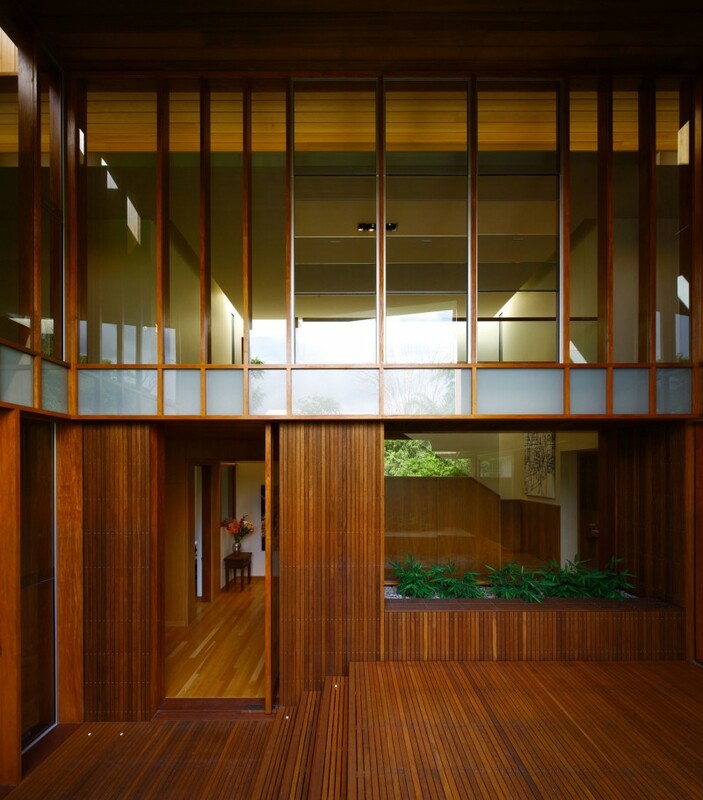 The level of the platform and the height of the Poincianna tree and the Arbour established the two datums for the setout of public and private spaces of the dwelling. 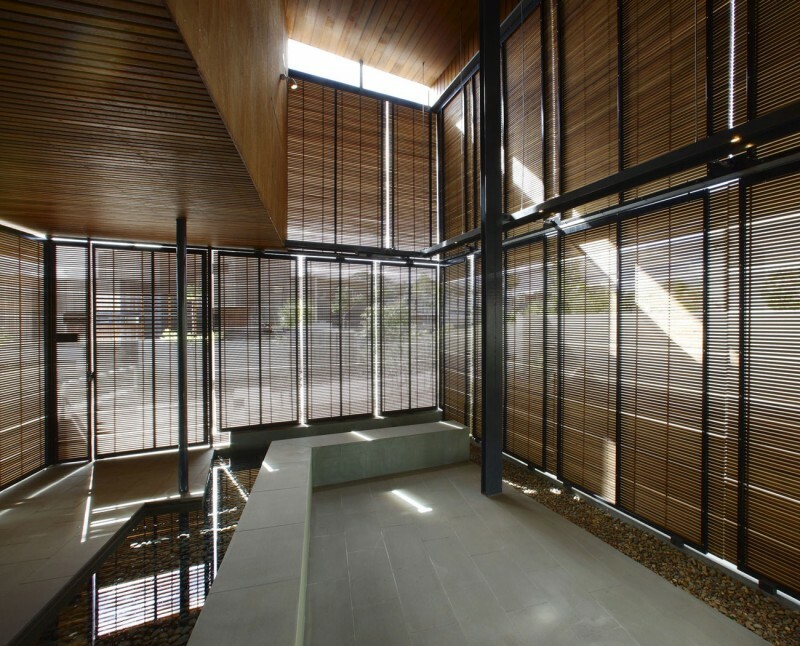 The public riverfront living levels are adjacent to this space whislt the rear living spaces are elevated above the garage to look into the canopy of the Arbour. 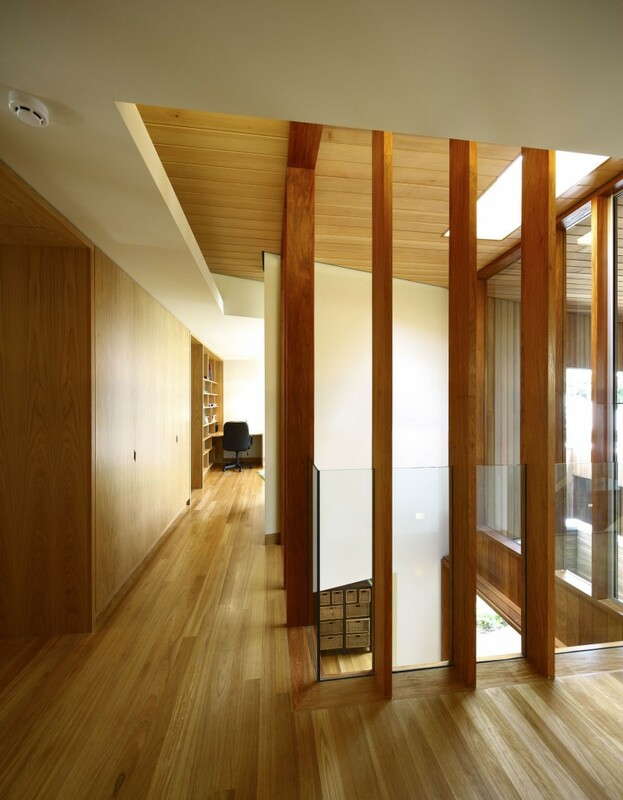 The private bedroom spaces of the upper level are raised to a height to afford views of the tree canopy and river yet privacy from the public river boardwalk.